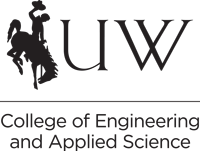 The Computer Science Department offers scholarships to encourage outstanding students to enter UW and pursue a degree in computer science. Alumni and corporate gifts to the department provide the funds for these scholarships. In order to encourage outstanding students to enter UW and pursue a degree in computer science, the Department of Computer Science awards scholarships. Alumni and corporate gifts to the department, in honor of faculty, provide the funds for these scholarships.